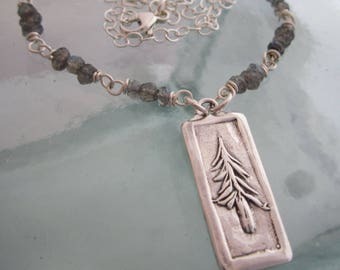 This bracelet features my handcrafted focal with a leaf pattern on both sides of the .999 silver focal. The focal is oval in shape and measures just over 3/8" x 13/16". I added a patina finish to enhance the detailing of the leaf, and polished it to a warm shine. 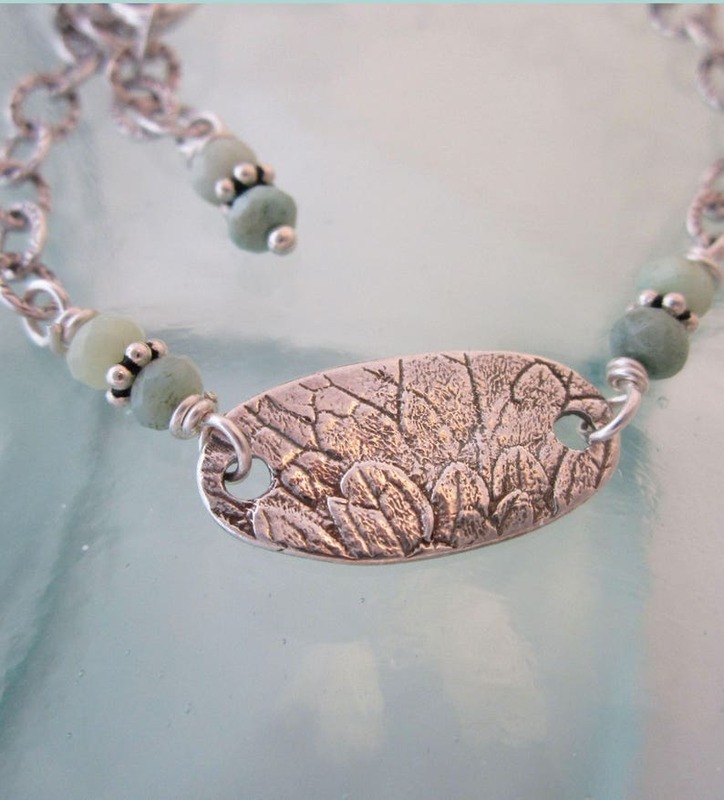 On each side of the leaf is a sterling wire wrapped station with two faceted roundel chrysoprase beads and one sterling daisy, before the bracelet transitions to a sterling chain which is patterned. One end of the bracelet then has a wire wrapped rectangular faceted chrysoprase and lobster clasp, and the other has a wire wrapped bead station dangling from the end. This bracelet is 8" at its longest, but can be worn shorter by hooking the clasp into any of the chain links. If you prefer the bracelet in a different length, please contact me and I will be happy to discuss your options with you.